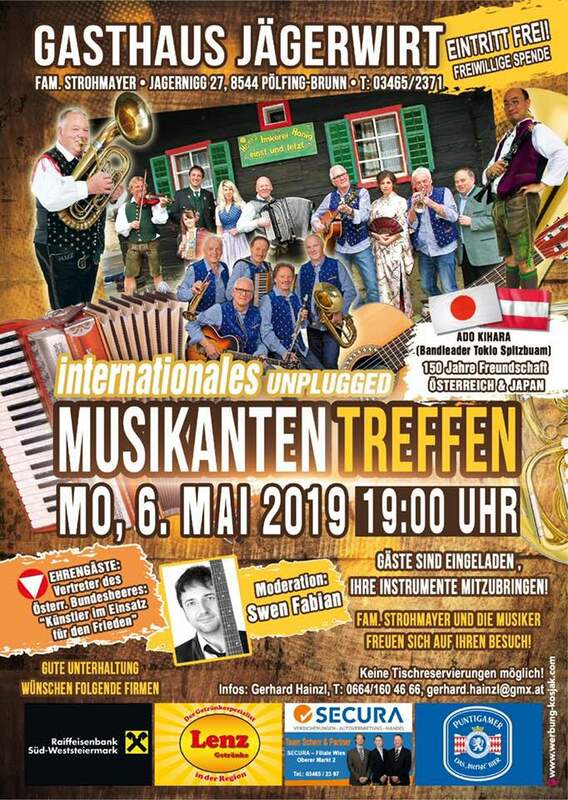 On Monday, the 6th of May there will be a big musician meeting in Pölfing-Brunn and our Adi will be there. 150 years of Austria – Japanese friendship. Andisan will accompany him and they will play great songs with many musicians. If you have time, come to us and take your instruments, it will be a great evening.